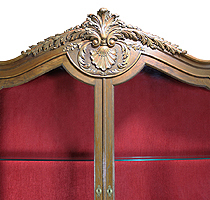 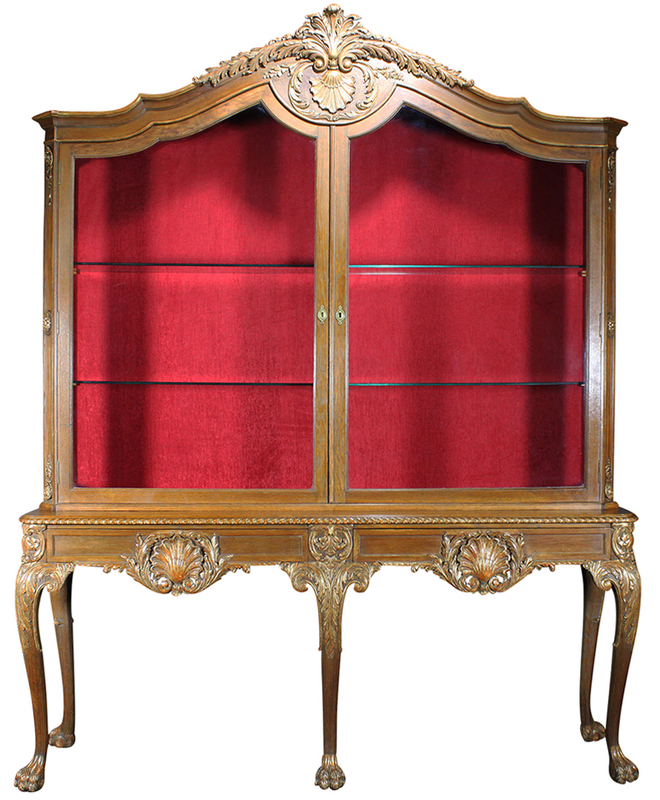 A Fine and Rare English 19th-20th Century Chippendale Style Carved Oak and Parcel Gilt Console Vitrine. 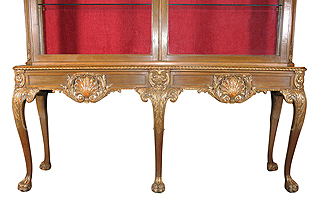 The narrow upper two-door vitrine crowned with a carved parcel-gilt peacock feathers surmounted with foliage above a seashell. 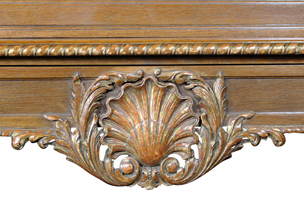 The lower five-legged console base fitted with two apron drawers, each with parcel gilt carving of wreaths centered with a seashell. 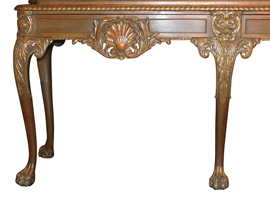 The cabriolet legs with floral carvings ending on paw feet. 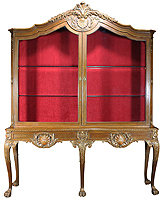 The vitrine's interior fitted with two glass shelves backed with a lined with red silk and side glass panels. 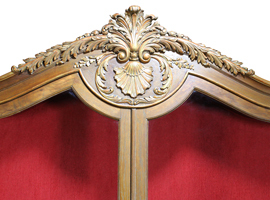 Circa: London, 1900.